Polygamous Marriage: Is Govt Bending The Rules? Family First NZ is concerned that the government may be turning a ‘blind eye’ to polygamous marriages in New Zealand when assessing entitlements to welfare support. The issue has come to light with a recent serious domestic violence case where the offender is legally married to the victim, with whom he has three New Zealand-born children, as well as a second “wife” whom he married in a religious ceremony. Family First is concerned that immigrants or refugees who enter New Zealand in existing polygamous marriages are not being held to New Zealand’s legal definition of marriage, and that benefit-eligibility rules may be being ignored. This indicates that the government may be indirectly endorsing polygamists arrangements. “However, second (or third or more) polygamous wives are living in ‘the nature of marriage’. The Ministry needs to explain why these females are not subject to the same investigation processes and fraud prosecutions as all other females. Additionally, why is the husband not subject to new laws that hold the partner of a fraudulent sole parent equally liable to prosecution?” asks Bob McCoskrie, National Director of Family First NZ. 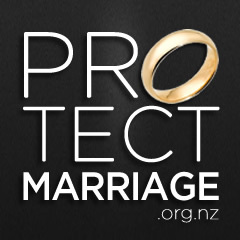 “It also ignores the well-documented harms of polygamist ‘marriages’ which should be discouraged – not given special treatment and subsidised by the state,” says Mr McCoskrie. There is no such thing as so-called “good polygamy”. Women in polygamous relationships are at an elevated risk of physical and psychological harm. They face higher rates of domestic violence and abuse, including sexual abuse. Competition for material and emotional access to a shared husband can lead to fractious co-wife relationships. These factors contribute to the higher rates of depressive disorders and other mental health issues that women in polygamous relationships face…. They tend to have less autonomy, and report higher rates of marital dissatisfaction and lower levels of self-esteem. They also fare worse economically, as resources may be inequitably divided or simply insufficient. Children tend to suffer more emotional, behavioural and physical problems, as well as lower educational achievement than children in monogamous families. Children are also at enhanced risk of psychological and physical abuse and neglect. Polygamy also institutionalizes gender inequality. Patriarchal hierarchy and authoritarian control are common features of polygamous communities. Individuals in polygynous societies tend to have fewer civil liberties than their counterparts in societies which prohibit the practice.